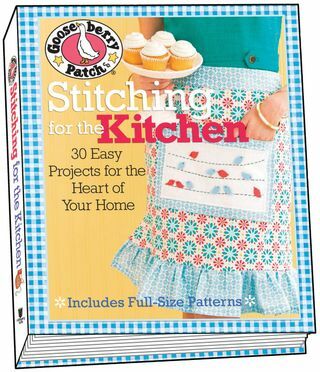 Gooseberry Patch Stitching For The Kitchen offers 30 super-easy ideas for creating beautiful accessories, home decorating items, gifts, and keepsakes with sewing, patchwork, appliqué, crochet, and embroidery. Make charming napkins, tablecloths, and runners; adorable; potholders, trivets, and warmers; stylish totes and organizers; and sweet aprons for cooks of all ages. Stitchers at all skill levels will appreciate the tutorials and other information at the back of the book, and the full-size patterns make creating the projects even easier. An no Gooseberry Patch collection would be complete without some tasty treats - readers will find more than a dozen sprinkled throughout! When i was a newlywed, I received doilies from my mother in law. I knew I was waiting for a place of honor, or a very special project to inspire me to use them in a way that would be fitting of all of her hard work and fine crochet skills. She personally crocheted them with love and time in the hope to someday pass them on to her daughter and future daughter-in-law. I remember thinking, what am I ever going to do with these doilies, as there are so many? 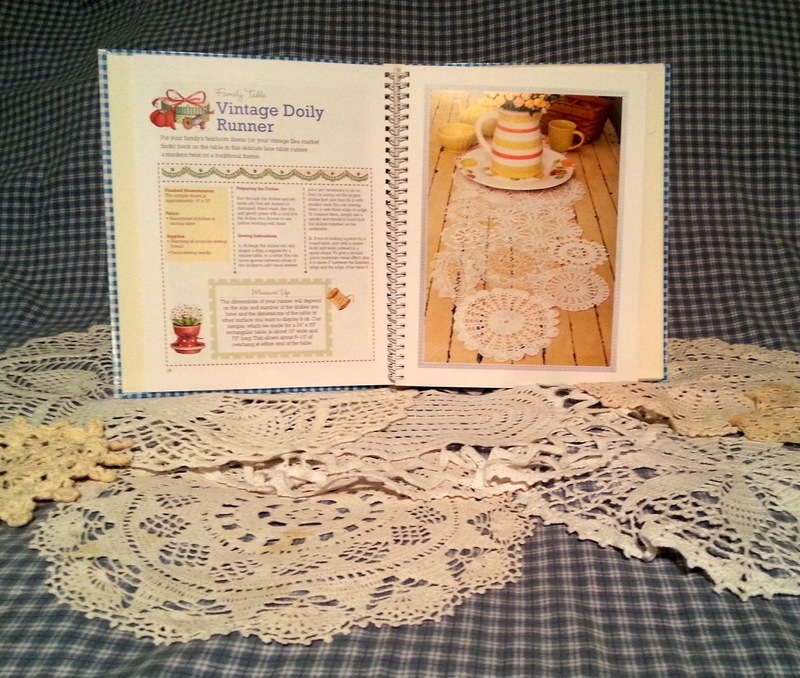 I was very excited to see the Vintage Doily Runner project in the Stitching For The Kitchen! My table lacks any charm or pizzazz so I fell in love with this project, as soon as I saw it! I then sat down with my mother-in-law, and asked how we might work together to complete this project as a team! (As, I am all thumbs, when it comes to fine crochet work.) The two of us are working to complete this project before the holidays, and I cannot wait to display in proudly at Thanksgiving! Crossing my fingers her health allows us, this time together, as it has been so fun laying out each of the pieces, and crocheting side by side! Stay tuned for the completed project photos! *I was not compensated or asked to speak about the company. I was sent a copy of the book for my personal review, all thoughts and opinions of the book are 100% my own!